I just had to share this quote that I found. It literally stopped me in my tracks and I’m so glad it did! This is one quote that rings with truth! Happy Monday, bloggers! Welcome to the last week of the A-to-Z Challenge! These last six letters are the tricky ones! Of course the tricky letters are always last! This might be a challenge for some of you, but don’t give up! You have made it this far and I’m pretty excited to see what you have come up with for U, V, W, X, Y, and Z. Here are some motivational quotes to push you through the last week of the challenge, and not just the challenge but with the finish line ahead in any achievement you are about to accomplish! After a grueling first full week of the A-to-Z Challenge, I needed some more motivation for this upcoming one! I figured, I can’t be the only one! I know that a lot of us are writing about the personal experiences and memories of our lives. That can be emotionally draining, but in the end, totally rewarding. I have spent hours pouring my heart and soul into each post. Sometimes at the end of each post I’m crying or laughing with tears, but each post is genuine and sincere. 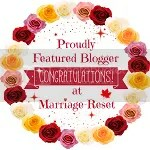 Keep up the fabulous work bloggers! Hopefully one of these quotes put a smile on your face today! I really enjoyed looking for quotes! Here are a few I found for this week! I feel even as a step parent, I forget to make myself a priority every once in awhile. Whatever your situation, you need to remember to make time for yourself. If that’s going to the gym early in the morning or stealing 30 minutes during nap time to paint your nails. Make some time for yourself. It’s healthy. It will not only help you, but everyone else in your life. I bet you will notice things will start to run smoother. Every day we need little motivations to get us through the day! Never stop motivating youself to grow and be a better person. Motivate yourself daily, just like bathing 🙂 Couldn’t of said it better myself!